Chronic illness can disrupt a person’s life in a myriad of ways. In addition to disease-specific symptoms, patients often experience pain, fatigue, sleep issues, and mood disorders. Challenging emotions of anxiety, uncertainty, frustration and loss of control may arise. Learning how to manage stress and maintain a positive emotional, spiritual and physical perspective are key. 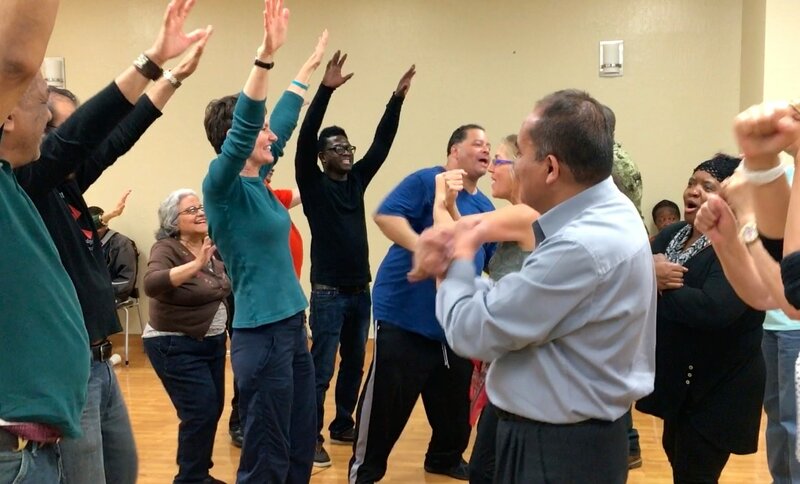 Our movement classes for people living with chronic illness offer gentle exercises and ways of moving that bring awareness to the body, enhance circulation, ease pain, calm the mind, release stress and help move through emotions. The support of peers, patient education on wellness and lifestyle modifications, and learning new coping skills through movement exercises are important aspects of this class. Participants often feel less fatigued and depressed, and more inspired and relaxed after class. They often experience greater acceptance and improved ability to manage stress, and find encouragement in knowing they are not alone in their illness.